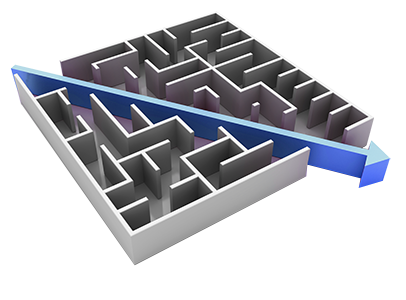 Lost in an IBM licensing maze? can keep you ahead of the game with your license requirements. In the ever changing world of server virtualisation, keeping abreast of the latest rules and regulations can be baffling, APSU can provide a software audit service to provide clients with detailed reports on existing licensing, virtual capacity licensing and sub capacity licensing, allowing clients to ensure they have complete coverage of the software estate and remain compliant at all times. Having up to date license compliance enables clients to budget for the software maintenance at the correct amount and ensure there are no over payments for software which is no longer deployed. If using Full Capacity licensing, the Licensee must obtain PVU entitlements sufficient to cover all activated processor cores in the physical hardware environment made available to or managed by the Program, except for those servers from which the Program has been permanently removed. Sub-capacity licensing lets you license an eligible software product for less than the full capacity of your server or group of servers. It provides the licensing granularity needed to leverage various multi-core chip and virtualization technologies. When projects, using IBM technology, start up there is a demand for IBM software, but once the project comes to the end of its life the various licenses are unaccounted for and often end up on the shelf. By receiving periodic software audits, you will ensure you do not continue to pay for software no longer required. Customers are no longer required to submit a report of their license deployments, instead they must maintain documentation for at least two years. IBM will require these reports to be made available and at any time can request an audit. APSU periodic audits manage your compliance. How do we know if we are fully compliant with the IBM license agreement? We have been notified of an IBM license audit. What does this entail? Are the IBM software products we are using fully deployed? What are IBM PVU’s and their significance to my corporation’s IT investment? How do we achieve maximum usage from our existing investment in IBM Software? APSU audit services answer these questions and work with you to resolve, comply and reduce your current licensing spend. APSU provides onsite software audits to provide you with peace of mind. We can provide both reactive and pro-active audits to suit your requirements. APSU will audit all your systems that use IBM software and detail the information in an IBM-approved document. On completion of the onsite software audit, APSU will generate a report detailing the identified license install base; existing license entitlements; and current license position. Following the release of the software report, APSU will work with you to show software allocation against CPU/LPAR usage and any under/over license. In the event of under license, we will use data from the audit to understand any scope for Sub/Virtual-Capacity licensing to reduce PVU count. By ensuring you have the correct level of licenses following an onsite audit, you will never again pay for annuity renewals on software which is either no longer used, no longer installed, incorrectly licenses and therefore reduce your cost of annuity licensing. APSU can also assist you to further optimize your renewal programme with longer-term maintenance agreements. Working with IBM Global Finance, APSU can provide financing to tailor flexible payment terms for 3 year prepaid maintenance and new software licensing. Reduce your annual costs and the overhead for maintenance renewal with an approved IBM finance package.